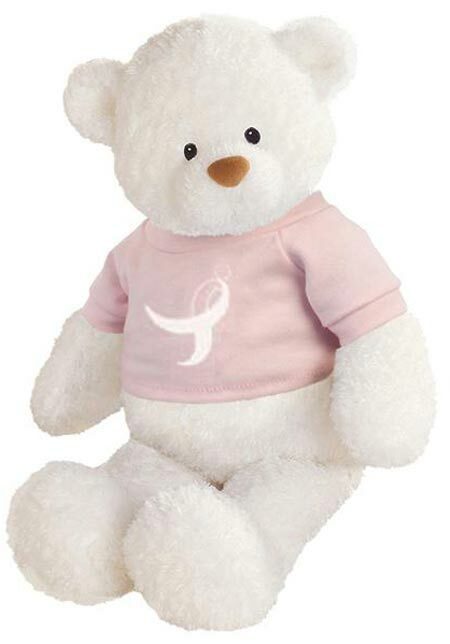 Custom Teddy Bears Personalized in Bulk -Gund Dress-Up Plush Bears. Promotional, Budget Prices in the USA and Canada. White, Light Brown, Medium Brown, Dark Brown. 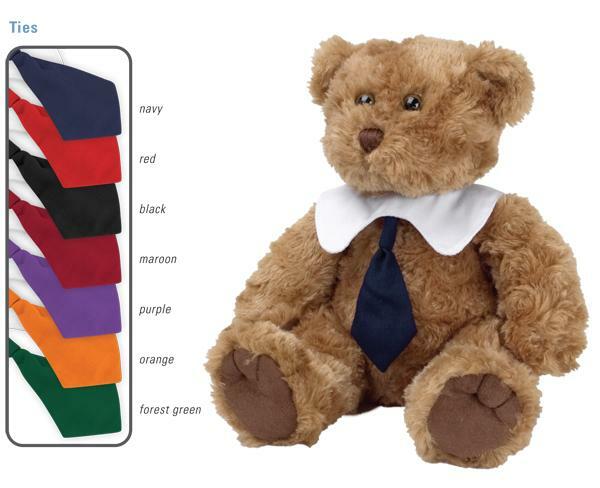 Inexpensive personalized Gund Dress-up Bears on sale. 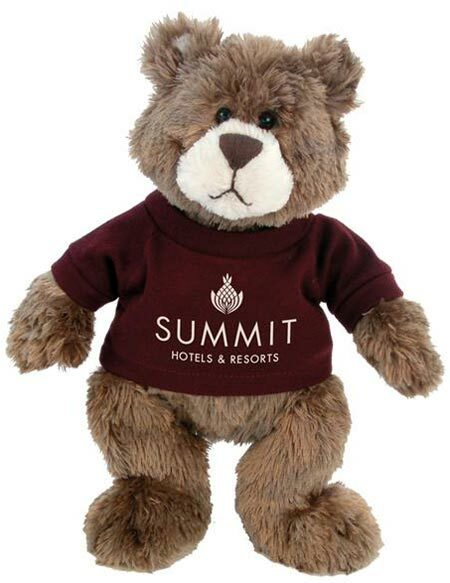 We also supply blank (not imprinted) Gund Dress-up Bears at EQP (End Quantity Price). 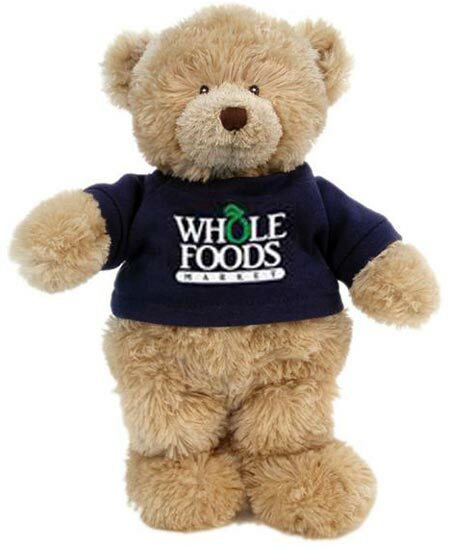 Lowest cost in USA and Canada wholesale for promotional Gund Dress-up Bears. American clients pay no taxes. Hooded Sweatshirt. 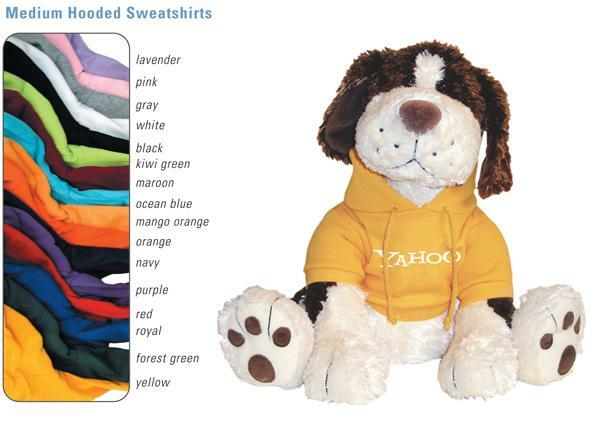 Click for Hooded Sweatshirt colors. Add $6.00(C) per item to the Screen Print price. Imprint area: 3"W x 1.25"H.
Baseball T. Click for Baseball T colors. Add $2.00(C) per item to the Screen Print price. Imprint area: 3"W x 1.25"H. Baseball T image shown with ColorMax imprint. Call for details and pricing. Santa Hat - red/white only. 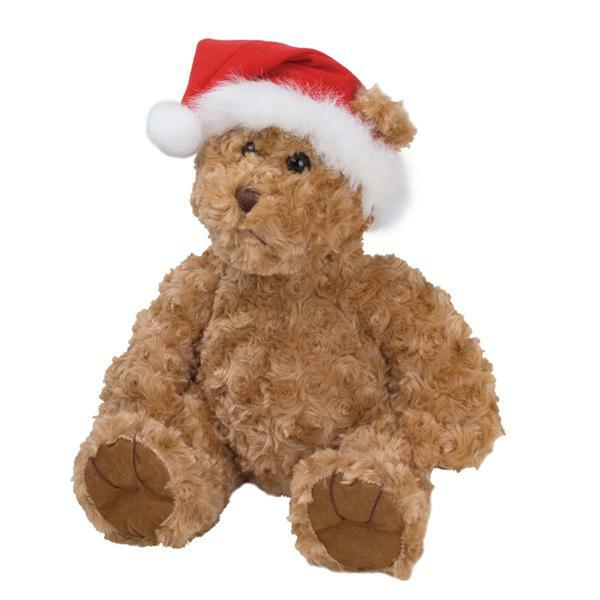 Click for Santa Hat image. 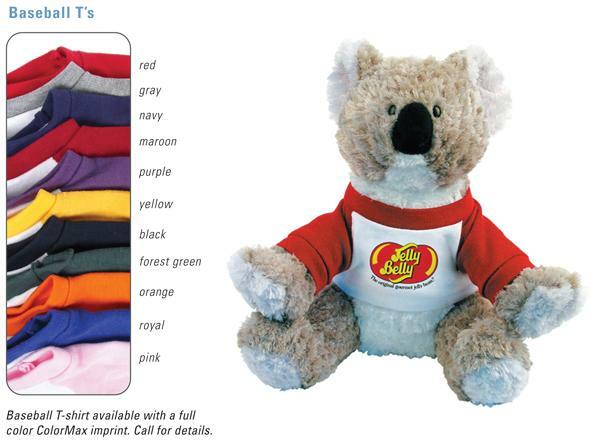 Add $3.00(C) per item to the Screen Print price. Unimprinted. Cap & Gown - black only. 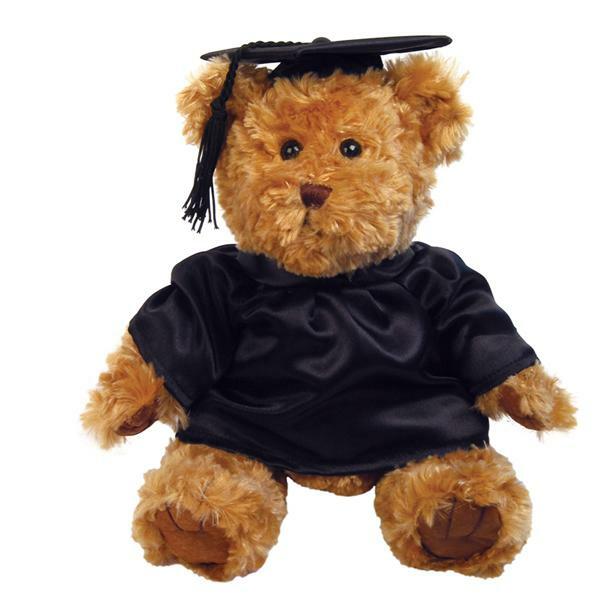 Click for Cap & Gown image. Add $4.00(C) per item to the Screen Print price. Imprint area: 3"W x 1.25"H / front of gown. Heart Boxers - white with red hearts only. Click for Heart Boxers image. Add $3.00(C) per item to the Screen Print price. Unimprinted. Cheerleader Outfit. 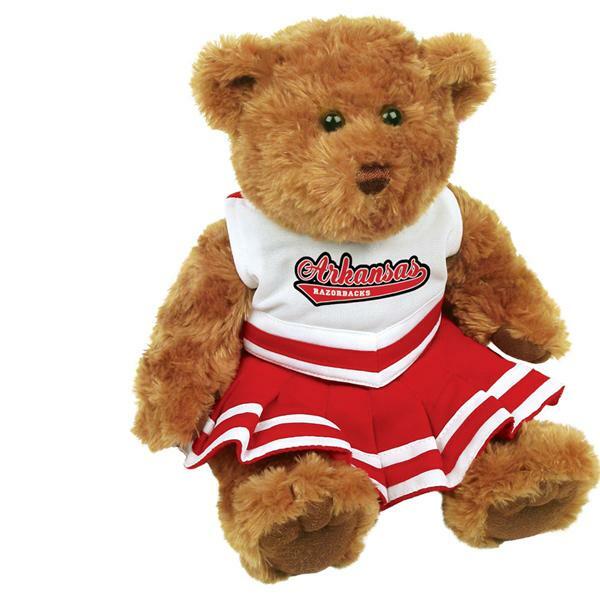 Click for Cheerleader Outfit image. 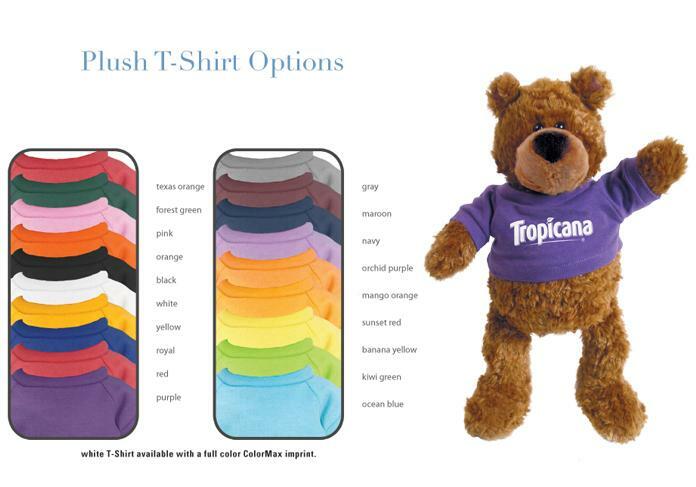 Add $7.00(C) per item to the Screen Print price. Imprint area: 3"W x 1.25"H. Cheerleader Outfit image shown with ColorMax imprint. Call for details and pricing. 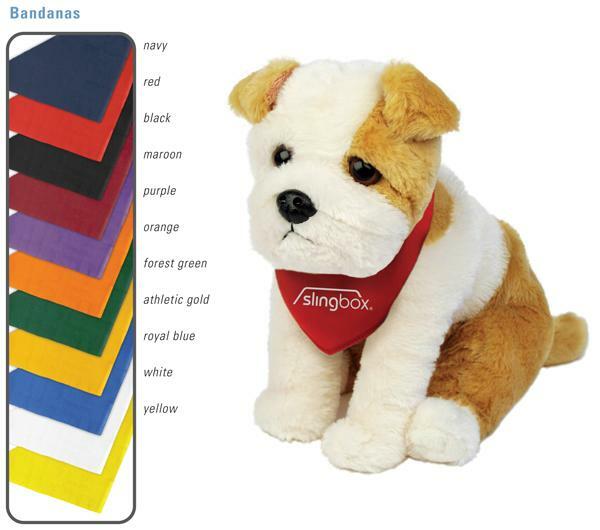 Available colors: Black/Vegas Gold/White, Royal/White, Navy/White, Maroon/White, Black/White, Orange/White, Red/White, Purple/White, Forest Green/White, Navy/Gold/White, Light Blue/White. 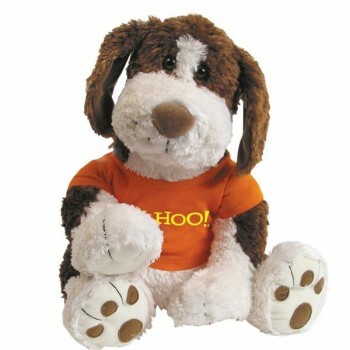 Overall size: 11"; Sitting size: 8"